Less than a week after announcing that its trans-Tasman partnership with Virgin Australia would end in October, Air New Zealand has heralded the launch of two new routes across the Tasman from December this year and the addition of an extra 15% seat capacity across all its Tasman services year-on-year. From 18 December 2018, Air New Zealand will operate up to four times a week between Brisbane and the popular ski and tourist destination of Queenstown, increasing the airline’s total international capacity into the resort town by 20%. It will also operate up to five times a week between Brisbane and Wellington, New Zealand’s capital, a 15% increase or 20,000 seats. These new services will increase Air New Zealand’s overall seat capacity into and out of Brisbane by 44%. The airline will introduce additional services on both the Sydney-Auckland and Melbourne-Auckland routes, increasing seat capacity on each route by more than 45,000 seats. The airline will also boost capacity between Brisbane and Auckland by more than 15 percent through the introduction of additional morning services. The airline will also move to double daily on peak days of the week from both Melbourne and Brisbane, and double daily Monday to Friday from Sydney. This represents a 15% increase in capacity or about 35,000 extra seats on Christchurch trans-Tasman routes alone. Fares are on sale now for both the new routes and the additional seat capacity. Meanwhile, all customers booked on an Air New Zealand ticket to travel on a Virgin Australia aircraft after 27 October 2018 will be moved in the next few weeks across to Air New Zealand-operated services. 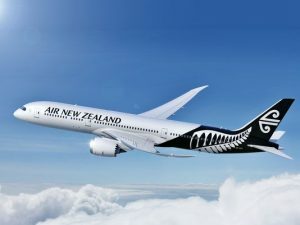 Air New Zealand advised yesterday there was no need for customers to do anything; they would be contacted by either the airline or their booking agent regarding any changes.